At KIC Restoration, we love serving the Poway community. We really, truly do. There’s something special about Poway, a genuine sense of community perhaps, and we try to mirror this quality every day in how we conduct ourselves and provide our services. As a long time Poway resident and as a local small business owner, Poway has become my home. I have grown to love this town! I suppose this connection can be attributed to my upbringing; raised in a small farming community in Watertown, Minnesota, I grew accustomed to the values of friendship and community, but still, Poway offers a unique charm that cannot be duplicated, only admired. As a thank you for the happiness and fulfillment that this town inspires, I see it as my duty to provide exemplary restoration services to Poway residents and local business owners. In fact, Poway is the only area where we offer free mold inspections and free flood and fire estimates. 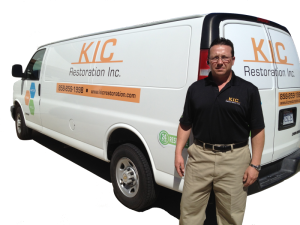 At KIC Restoration, we advocate transparent business practices; our prices are fair, our customer service is unmatched, and we use an objective methodology to produce estimates. Over the years, we’ve learned an easy way to maintain energy and freshness for each project at KIC Restoration—exceed our clients’ expectations. That is why we recently decided to formally offer one hour of free help to any Poway residence (ask for the “Powegian Special”). You want us to cut your hair, we’re in. You need assistance assembling your new home gym, we are there. You define the task, and our staff will make the arrangements. Your last contractor didn’t get it – we do. There’s no secret to providing good service; all it takes is hard work, attention to detail and a genuine passion for the task at hand, at that’s exactly what we offer at KIC Restoration.